New Special Quest [Chaotic Power 2] until May 14th. Xion’s chip rarely reduces CP consumption. Lisa’s chip gives medium bonus damage when an attack hits the enemy. Oza’s chip decreases defense power and increases attack power. 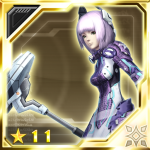 Adding some chips to the PSO2es Guide. Adding Google Play AC purchasing to (How to Purchase Arks Cash) guide. 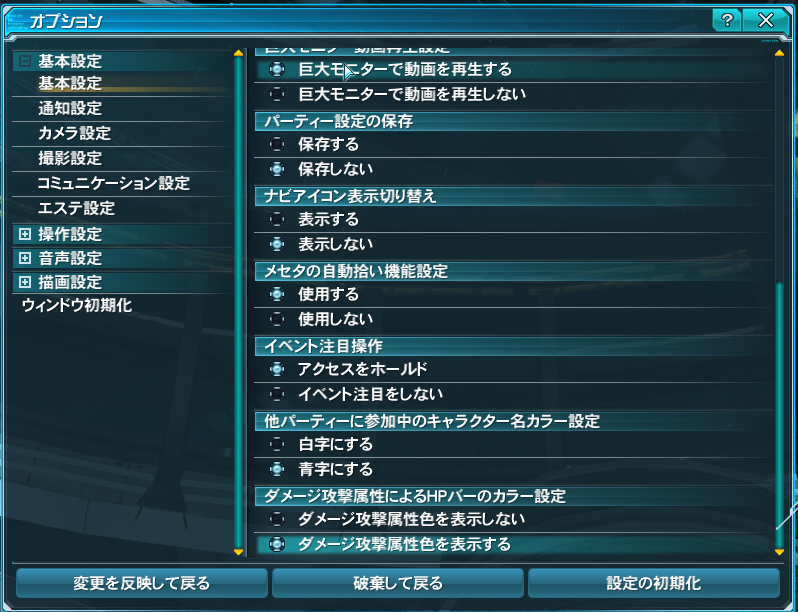 Added a new PSO2es Campaign below! PSO2 Director Nakamura was quoted hinting at a new crafting system category other than [Weapon Extension] and [Technic Customizations]. This new feature is probably the one datamined a while back. The new crafting System is scheduled to appear around the Phantasy Star Festa Updates. So far the class balance adjustments posted prior to this maintenance only lists the ranger, striking Lv.16 PAs, and techer tree improvements. Any class adjustments besides those three have yet to be announced. After the April 23rd update, they’ll judge which contents are target for a nerf. 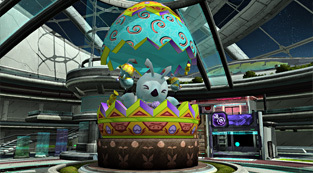 Taiwan, Hong Kong, Macao’s PSO2 is planned to launch on April 25th. 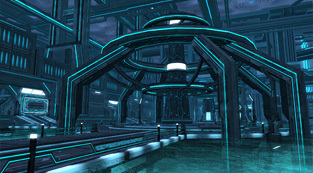 In a few months, the PSO2 SEA version is scheduled to launch. Sakai states you can’t play with them since they’re on different servers with their own scheduling of updates. Quick explanations for navigating the April 23rd update. Switch the main palette with these commands. Switch the sub palette with these commands. For [itemname] enter the name of the costume. For [itemname] enter the name of the camo. While in camera mode, gamepads should use the (B) button and keyboards should use the (E) key to save the camera position. Gamepads: Hold RT while moving the left stick to move the camera. Use the d-pad to zoom in. Today’s update added a whole slew of soul bonuses to the game. Soul Bonuses increase the success rates of certain abilities, there’s a better explanation of it at Cirnopedia. Here is a new list of Special Abilities that receive a success rate bonus when a soul exists on an item. 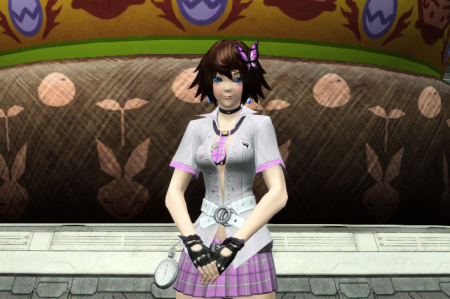 Information was gathered from the PSO2Swiki. Since information was gathered from the wiki, some areas may be incomplete. New skills for each class. Mags can be fed ★7 ~ ★9 items. A [Mag Changing Pass] can be obtained from the Recycle Shop. You can use this pass to change the appearance of your mag from a list of evolution devices used after this update. If you haven’t used an evolution device on your mag, then it will not appear on this list. You can enter the Mother Ship by starting a certain story quest. April 23rd through June 11th. Ruins and Oceanids stage 60 becomes the final stage. Added latent abilities for existing weapons. 獲得経験値＋１００％（３個） +100% EXP (x3) was removed from the listing. Reduced some prices in FUN shop. Lvl 50 reward increment added. /mpal1～/mpal6 : Switch main palettes. /cs itemname : Switches to costumes stored in the item pack. /cmf itemname : Switches to weapon camos stored in the item pack. New Wink cut-in chat added. Adjusted the quest clear containers for Mining Base. Changed the drop priority towards a descending order (H>>L), low rarity drops will be hard to come by, high rarity drops will be easier to come by. This change only affects up to ★10 items. The ★11 item drop system will see no changes. Limited the amount of meseta drop icons that appear after the quest is cleared. This doesn’t affect the total sum of meseta that can be obtained from the quest, it is merely a counter measure to reduce the burden on everyone’s system. Added a rare enemy variant for Talobecko. Took measures to reduce the server load at the quest counter. Changed the image displaying on the monitors during the Mining Base emergency announcement. Raging Dark Arms and Utterly Profound are no longer exclusively pre-scheduled and will also appear at random. Changed the results screen so that if you are unable to receive the clear EXP rewards, the screen will display 0EXP. 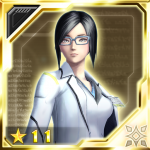 Changed the design that appears on the ARKS Monitors during an interrupt ranking. You can set boost and food items on the sub-palette. Added a setting in options to change the damage bar’s color based on the three attack types. Added a setting in options to display up to three stacked notices at the same time. Modified Zondeel’s animation so that it doesn’t glare up the screen too much. Bingo objective [Color Box Destruction] can be achieved even if another player breaks the container nearby. Changed the design of the Matter Board’s icons. Some menus in the Crafting system will be grayed out until it’s ready. The earned commission fee will be displayed when performing a craft for another player. The Craft Information pane accessed from the character information menu will use the same notation as the class information pane when the craft level reaches the current level cap. You can check the craft license, craft achievements, and craft recipes in the my room terminal. The final confirmation window for Technic Customizations will display the names of the effects for the merit and demerit values. When using a custom disk, the message displayed in the middle of the screen has changed to a notice at the lower part of the screen. Team Accessories will unequip when a person leaves the team. Added an entry in Chat settings that lets you perform a victory animation when certain enemies are defeated. The [Forward/Previous Tab] control setting in options can now sift through messages in the mailbox. Adjusted the footstep sound effects for the Seras Alicia costume. A certain effect is displayed when a step attack is performed while [＊Jeweled Sword of Zelretch] is equipped. Latent Ability [Wings of Fortune] will now display an effect when triggered. Changed the icon design to display the values of some food and booster items. A confirmation dialogue displays when overwriting a symbol art with one chosen from the Symbol Art History. Added display functions for the notices. The Order Items tab in the item pack and storage box are sorted by their intended use. Success rate bonuses can occur when a special ability corresponds to the abilities of a soul. Special Ability success rate bonuses can also occur to souls that previously did not apply a bonus before. More details in the Explanations tab. Reduced the amount of time the player is frozen after a dive roll. Assault Rifles: Made improvements to the bullet spread for normal attacks during movement. One Point: Made improvements to the bullet spread for Assault Rifle PA One Point. Increased the power and reduced the PP consumption of some assault rifle and launcher PAs. Changed the prerequisite skill points for these Techer Skills: Wand Lovers, Dark Mastery 2, Light Mastery 2, Wind Mastery 2, Territory Burst. In accordance with this change, an all skill tree reset pass is distributed as compensation. Buffed Over End’s power at level 16. Buffed Tornado Dance’s power at level 16. A mag’s photon blast power will rise based on its current level. Improved upon the photon blast’s power, homing abilities, range and hit number. Special Weapons will be able to receive high ranking special abilities similar to [Power IV]. There are special abilities that can only appear during appraisal. This applies to special weapons retrieved after April 23rd’s update. Expanded which placements on the leaderboard are target to receive an Interrupt Ranking or Weekly Ranking reward. In [Specimen Collection: F. Continent], it will be easier to trigger the [Collect the Egg Specimen] emergency trial. Latent Ability [Mortality’s Ante] has been buffed. Intermediate Class: Arks Basics has been removed from the ARKS Road. Special Quest [Rappy Special Survey] has a chance to appear twice each day during the morning, noon, or night hours. New Special Quest [Chaotic Power 2] until May 14th! New original special ability “Soul Receptor” may appear within item drops. Those with linked PSO2 accounts can use this special ability to improve the success rates of soul-type abilities during affixing. Marlu’s chip increases attack power for a limited time after a successful Just Attack. Lisa’s chip gives bonus medium damage when hitting the enemy. お祭りで使うタマゴって？ / Eggs For the Festival? おじゃま虫をやっつけろ！ / Attack the Meddlers! 機甲種にも大人気？ / Even Mechs Are Popular? Click Bingo List tab for more details. お祭りで使うタマゴって？ Eggs For the Festival? 機甲種にも大人気？ Even Mechs Are Popular? +50% EXP Boost for all quests! Boost event period for Super Falz begins after April 23rd’s maintenance all the way until maintenance on May 7th. 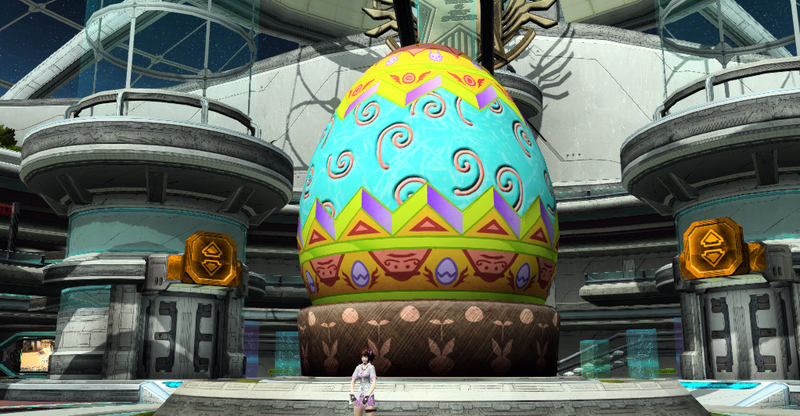 Spend Golden Week on PSO2 in three separate campaigns. The third campaign will be revealed at a later time. 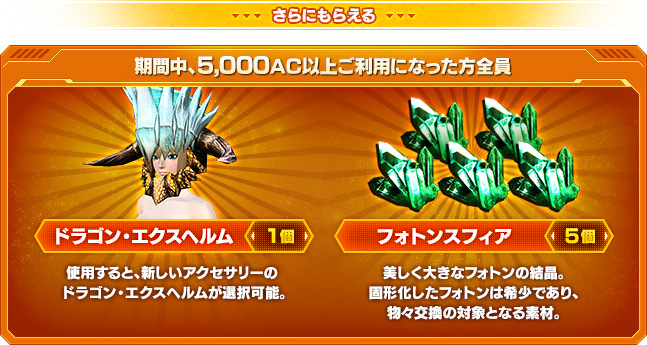 Spend AC during the campaign period to receive some prizes. Spend 100+ AC to receive two +50% Rare Drop Boosters. Spend 5000+ AC to receive one Dragon Ex Helm and five Photon Spheres. 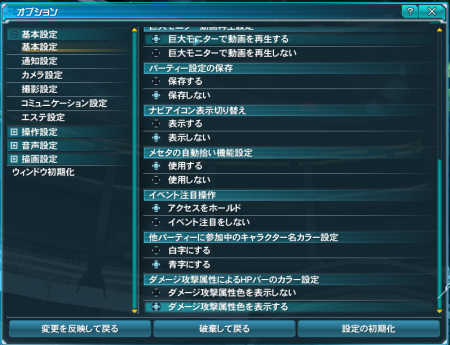 PSO2es players may also qualify for this campaign IF they link their PSO2 account. Any AC used prior to linkage will not qualify for the campaign. Purchasing an AC Scratch ticket bundle. Spending AC to add or reset skill trees. Using AC to purchase a new character. Login bonuses will increase during the campaign period. +100 FUN and +1 Login Stamp for standard players. 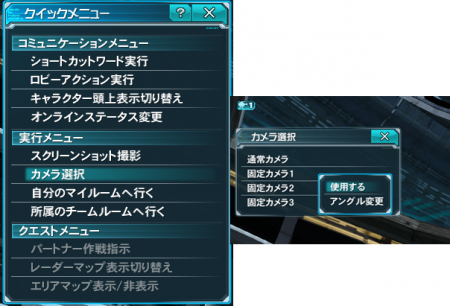 This campaign does not cover login bonuses for PSO2es. Xie is back for spring with new client orders! Complete them and earn some prizes. May 15th at the Visiphone. During Golden Week, you can acquire grinding assistance items in your mailbox! If you login everyday, you can achieve the 7th Day login bonus. You can pick up the rewards in the mailbox.